GENERAL TERMS AND CONDITIONS OF SALES OF BRAND VAN EGMOND B.V.
1.1 These general conditions of sales and delivery shall apply to all offers, quotes, deliveries, services andagreements of Brand van Egmond B.V. (“BRAND VAN EGMOND “). 1.2 All orders are accepted and executed by BRAND VAN EGMOND subject to and in accordance with the followingconditions of sales which override and exclude any other terms stipulated or incorporated or referred to by thecustomer during any negotiations or in any course of dealing between BRAND VAN EGMOND and the customer. 1.3 No variation or deviation to these conditions of sales is permitted unless expressly authorised in writing by adirector of BRAND VAN EGMOND. 2.1 Subject to the terms contained in this section, any quotation provided by BRAND VAN EGMOND will be without engagement. 2.2 Although BRAND VAN EGMOND strives to provide accurate product and pricing information, errors or misprintsmay occur. BRAND VAN EGMOND cannot confirm the price of a product until after the customer orders theproduct. Notwithstanding anything contained in this section, if a product is listed at an incorrect price or withincorrect information due to an error in pricing or product information, BRAND VAN EGMOND shall have theright, at its sole discretion, to refuse or cancel any orders placed for that product. If a product is priced in erroror a product information error occurs, BRAND VAN EGMOND may, at its sole discretion, either contact thecustomer for instructions, cancel the order and notify the customer of such cancellation, and/or correct the erroron its web site/pricelist, any without liability. 2.3 Orders are not binding on BRAND VAN EGMOND until accepted by BRAND VAN EGMOND. BRAND VANEGMOND’s acceptance of an order is evidenced in writing including return e-mail from BRAND VAN EGMONDindicating that customer’s order has been accepted. 2.4 Changes/modifications on orders will be accepted up to 3 (three) days from our order confirmation.2.5 The cancellation of an order is only valid if it is accepted in writing by BRAND VAN EGMOND. Expenses anddamages due to cancellation will be charged which the customer will have to pay. 3.1 Prices for products are in EUR and exclusive of VAT, unless otherwise indicated. 3.2 BRAND VAN EGMOND reserves the right to increase prices during or after execution of the agreement andwithout notice at any time if the manufacturing prices of BRAND VAN EGMOND increase. 3.3 Unless indicated otherwise in writing by BRAND VAN EGMOND, the prices are based on delivery on the basis ofEXW (Ex Works), Naarden, The Netherlands (according to the latest version of ICC Incoterms). 4.1 Unless credit terms have been agreed to in writing by BRAND VAN EGMOND, customer shall pay invoices withinthirty (30) days from the date of the invoices without any deductions or set-off whatsoever. 4.2 If payment is not received by BRAND VAN EGMOND by the due date, the customer shall pay a financing chargeof 2% of the capital sum for each month or portion thereof during which payment remains outstanding, untilpayment is made in full. 4.3 BRAND VAN EGMOND reserves the right to demand payment up front or to demand security for the payment ofthe invoices before commencing the production and/or delivery of the products. 4.4 If the customer fails to make payment by the due date or fails to provide security without prejudice to any otherright or remedy, and without prior notice of default, BRAND VAN EGMOND shall be entitled to:i. cancel the order or suspend any further deliveries; andii. appropriate any payment made by the customer to such of the products (or the products supplied under anyother contract) as BRAND VAN EGMOND may think fit. 4.5 All expenses relating to the recovery of the amounts payable and not paid in time by BRAND VAN EGMOND shallbe for the account of the customer. The extrajudicial expenses shall be at least 15% of the amount due, at aminimum of Euro 750, and shall already be payable and claimable as soon as the claim is passed out of hand forcollection. 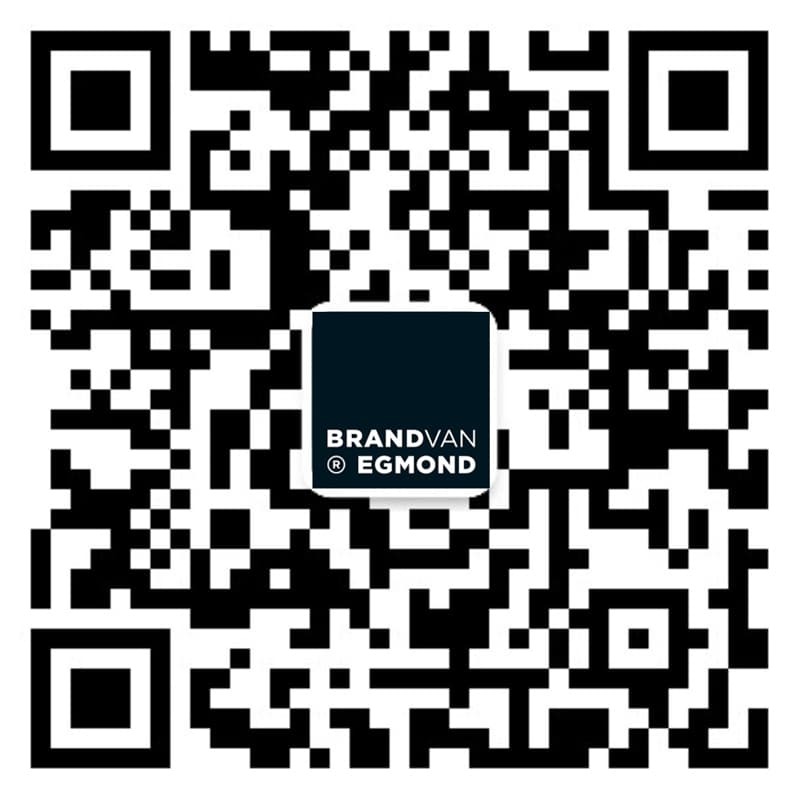 A customer wishing to open a credit account must furnish such information as requested by BRAND VAN EGMOND andBRAND VAN EGMOND will make a search with a credit reference agency. BRAND VAN EGMOND reserves the right in itsabsolute discretion to grant, refuse or discontinue any credit facilities or reduce or suspend any credit limit at any time. 6.1 Product availability may be limited. Products may not be available for immediate delivery. BRAND VAN EGMONDreserves the right, without liability or prior notice, to revise or cease to make available any or all products. All articles shall be executed in standard design. 6.2 For an order of deviating models or colours or special requests a surcharge shall be made, this after priorwritten consultation. All special orders are, unless agreed to otherwise in writing, paid for by the customerupfront. 7.1 Unless agreed otherwise in writing delivery shall take place EXW (Ex Works) Naarden, the Netherlands,according to the latest version of the ICC Incoterms. 7.2 BRAND VAN EGMOND will use reasonable endeavours to meet delivery estimates but under no circumstancesshall it be liable to compensate the customer for non-delivery or late delivery. 7.3 BRAND VAN EGMOND reserves the right to deliver by instalments or in parts. Failure to meet a delivery datewhere delivery is by instalments shall not preclude BRAND VAN EGMOND’s right to make further deliveries byinstalments under the relevant contract. 7.4 The customer may request delivery by instalments for a maximum period of 12 months from the date of order. 7.5 The risk for the goods to be delivered shall pass to the customer from the moment that they are placed at thedisposal of the customer at the premises of BRAND VAN EGMOND unless agreed to otherwise in writing. Anyassistance by BRAND VAN EGMOND with the loading of the goods on any means of transportation shall be forthe risk of the customer. 7.6 If delivery of the goods is refused by the customer, without prejudice to the provisions of article 9, the risk ofthe goods shall pass to the customer at once and BRAND VAN EGMOND can immediately claim payment. BRANDVAN EGMOND shall keep the goods at the customer’s risks and expense until further notice.7.7 If the customer continues to default after being summoned BRAND VAN EGMOND shall be entitled to dispose ofthe goods or to give them another destination. Any proceeds shall be credited to the customer with deduction ofall expenses coming for his account, without prejudice to BRAND VAN EGMOND’s right to full payment of theagreed price. 8.1. The customer must inspect the products upon delivery. BRAND VAN EGMOND shall not be liable for any defectsin the products unless written notice with a statement of reasons is given to BRAND VAN EGMOND within 7 daysof delivery. If complaints have not been made in the above-mentioned manner and within the aforementionedperiod of 7 days, the delivery shall be considered unconditionally accepted. 8.2. The quantity of any consignment of products as recorded by BRAND VAN EGMOND upon despatch from BRANDVAN EGMOND’s place of business shall be conclusive evidence of the quantity received by the customer ondelivery, unless the customer can provide conclusive evidence to the contrary. 8.3. Customary deviations shall not be reasons for complaint. 8.4. Any liability of BRAND VAN EGMOND for non-delivery or defective products shall to BRAND VAN EGMOND’sdiscretion be limited to replacing, repairing or making up the products within a reasonable time. 8.5. No order can be cancelled or accepted without previous written agreement of BRAND VAN EGMOND. 8.6. Products may not be returned without BRAND VAN EGMOND’s permission. If BRAND VAN EGMOND agrees totake the products back, the customer shall obtain a return merchandise authorisation number (RMA number).Any products returned must be provided with the RMA number by the customer and be received by BRAND VANEGMOND within 7 days of delivery and must be complete, undamaged and in original packaging. Productsreturned after 7 (seven) days as unwanted or incorrectly ordered will be accepted at the discretion of BRANDVAN EGMOND and will be subject to a restocking fee representing 30% of the invoice value of the products. 8.7. Certain products – such as products specially designed or manufactured for the customer – are excluded fromany return. 8.8. The customer is responsible for returning products to BRAND VAN EGMOND and for providing proof of deliveryof such return. 8.9. Products will be returned at the customer’s expense. 9.1 Ownership of the products shall not pass to the customer until BRAND VAN EGMOND has received in full (incash or cleared funds) all sums due in respect of the products. 9.2 The customer shall not be entitled to alienate or encumber the products in any way as long as full payment hasnot been made to BRAND VAN EGMOND, except where and in so far as the normal conduct of business isconcerned. The customer shall be obliged to pledge to BRAND VAN EGMOND any claims on third partiesresulting from this, on pain of a fine to the amount of 50% of the invoice amount for the goods supplied, with aminimum of € 2.250,=. 9.3 If payment is not received in full by the due date, or the customer passes a resolution for winding up or a courtshall make an order to that effect, or a receiver is appointed over any assets or the undertaking of the customeror an execution or distress is levied against the customer, BRAND VAN EGMOND shall be entitled, withoutprevious notice, to retake possession of the products and for that purpose to enter upon any premises occupiedor owned by the customer. 10.1 Unless any performance figures, tolerances or characteristics have been specifically and expressly warranted by a director of BRAND VAN EGMOND in writing, BRAND VAN EGMOND accepts no liability for any failure of the products to obtain such figures. 10.2 The responsibility for ensuring that products are sufficient and suitable for a particular purpose is the customer’s, unless specifically stated in writing by a director of BRAND VAN EGMOND. 10.3 Any advice or recommendation given by an employee of BRAND VAN EGMOND, which is not confirmed in writing by a director of BRAND VAN EGMOND, is acted on entirely at the customer’s risk and BRAND VAN EGMOND and its employees shall not be liable for any such advice or recommendation which is not so confirmed. 11.1 Each product has been manufactured and packaged to meet BRAND VAN EGMOND’s high standards. Any defects which, under proper use, appear in the products within a period of twelve months (unless otherwise stated by BRAND VAN EGMOND) and which are due to faulty materials, workmanship or design will be made good by BRAND VAN EGMOND either by repair, or at BRAND VAN EGMOND’s option, replacement (which is BRAND VAN EGMOND’s sole obligation and the customer’s sole remedy. 11.2 BRAND VAN EGMOND’s guarantee is accepted by the customer in substitution for all express or implied representations, conditions or warranties, statutory or otherwise, as to the satisfactory quality, fitness for purpose or performance of the products (or any materials used in connection therewith) or the standard of workmanship of any services provided, and all such representations, conditions and warranties are excluded.11.3 BRAND VAN EGMOND shall not be liable for defective products if the defect arises because the customer alters or repairs such products without the written consent of BRAND VAN EGMOND or because the customer did not follow the manufacturers’ instructions for storage, usage, installation, use or maintenance of the products.11.4 Any products replaced or repaired under this paragraph will be guaranteed on these terms for any unexpired portion of the guarantee given on the original products. 12.1 These conditions of sales set out the entire liability of BRAND VAN EGMOND to the customer in respect of the products and shall be in lieu and to the exclusion of all other warranties, conditions, and other terms implied by statute or common law save for any implied terms which by law cannot be excluded. 12.2 Nothing in these conditions of sale excludes or limits the liability of BRAND VAN EGMOND for death or personal injury caused by BRAND VAN EGMOND’s negligence or fraudulent misrepresentation. 12.3 BRAND VAN EGMOND’s total liability in contract, tort (including negligence or breach of statutory duty), misrepresentation or otherwise shall be limited to repairing, replacing or at BRAND VAN EGMOND’s option refunding monies already paid in respect of the products. 12.4 BRAND VAN EGMOND shall not be liable to the customer for any indirect or consequential loss or damage (whether for loss of profit, loss of business, loss of goodwill or otherwise) costs, expenses or other claims for consequential compensation whatsoever (whether caused by the negligence of BRAND VAN EGMOND, its employees, agents or subcontractors) which arise out or in connection with any contract, service or delivery. 12.5 BRAND VAN EGMOND shall not be liable for damage if the customer has not held BRAND VAN EGMOND liable for the damage by registered letter within a reasonable time after becoming aware of the cause of damage, but not later than 30 days after becoming aware of the damage. Any right to claim damages expires after 2 years of delivery of the products. 12.6 All stipulations concerning the exclusion or limitation of BRAND VAN EGMOND’s liability for and concerning BRAND VAN EGMOND’s indemnity against claims of third parties have also been made for the benefit of the persons who are employed by BRAND VAN EGMOND as well as third parties for whose actions or omissions BRAND VAN EGMOND can be liable. 13.1. If the customer is in default with timely payment or fulfilment of other obligations towards BRAND VAN EGMOND, BRAND VAN EGMOND shall remain entitled, without any notice of default, to consider the agreement rescinded, without prejudice to BRAND VAN EGMOND’s right to full compensation of damage suffered and to be suffered and any further rights. 13.2. The power to rescind the agreement on the strength of article 13.1 shall also be due to BRAND VAN EGMOND if BRAND VAN EGMOND finds that the customer has filed an application for a provisional moratorium, is being declared bankrupt, goods of the customer are being attached before judgment or under an execution, or his debts are being liquidated.13.3. The damage suffered and yet to be suffered as referred to in article 13.1. shall be at least 10% of the agreed price, without BRAND VAN EGMOND being obliged to prove that this damage has been or will be suffered. 13.4. In the event of rescission on the strength of article 13 any credit that BRAND VAN EGMOND has granted the customer shall be claimable immediately without further notice of default being required. 14.1 All rights of intellectual property, including but not limited to copyright, trademarks, models etc., resulting from any drawing, design, prototype, order, quotation or otherwise vested in the products, are the exclusive ownership of BRAND VAN EGMOND. 14.2 The only BRAND VAN EGMOND trademarks and/or other rights of intellectual property that the customer may display to advertise and sell the products, shall be those trademarks and/or intellectual property rights under which the products are sold by BRAND VAN EGMOND to the customer hereunder, or such other trademarks expressly authorized by BRAND VAN EGMOND (hereinafter called ‘the said trademarks’). 14.3 The customer shall comply with BRAND VAN EGMOND’s instructions as to the manner and context in which the said trademarks and the statements to accompany them are displayed. The customer shall not display the products without reference to BRAND VAN EGMOND. 14.4 No registration of trademarks of the products shall be undertaken by the customer or any person on the customer’s behalf without BRAND VAN EGMOND’s prior written consent nor will the customer alter, obliterate, add to, or otherwise interfere with the said trademarks and/or other intellectual property rights. 15.1 The customer is responsible at its own expense for obtaining any licence and complying with any export or import regulations in force within the country for which the products are destined. 15.2 BRAND VAN EGMOND reserves the right not to supply certain customers or countries and to seek from the customer full details of the end use and final destination of the products. 16.1 BRAND VAN EGMOND shall not be liable to the customer in any manner or be deemed to be in breach of these conditions of sale because of any delay in performing or any failure to perform any of BRAND VAN EGMOND’s obligations under these conditions of sale if the delay or failure was due to any cause beyond BRAND VAN EGMOND’s reasonable control (which shall include, but not be limited to government actions, war, fire, explosion, flood, import or export regulations or embargoes, labour disputes or inability to obtain or a delay in obtaining supplies of products or labour, lack and/or interruptions in the means of transport, production equipment or energy supplies). 16.2 BRAND VAN EGMOND may, at its option, delay the performance of, or cancel the whole or any part of a contract. 17.1 Any provision of these conditions of sale which is held by any competent authority to be invalid, void, unenforceable or unreasonable (in whole or in part) shall to the extent of such invalidity, voidness, voidability, unenforceability or unreasonableness be deemed severable and the other provisions of these Conditions of Sale and the remainder of such provision shall not be affected. 17.2 Failure by BRAND VAN EGMOND to enforce or partially enforce any provision of these conditions of sale will not be constrained as a waiver of any rights under these conditions of sale. 18.1 All disputes, suits, actions or other legal proceedings arising out of or related to these conditions of sale shall be governed by and interpreted in accordance with the laws of the Netherlands and the customer submits to the exclusive jurisdiction of the courts of Amsterdam, the Netherlands, but BRAND VAN EGMOND may enforce such contract in any court of competent jurisdiction. 18.2 The United Nations Convention on contracts for the International Sale of Goods (1980) is not applicable (CISG).